Total of 4518 grams of food from my garden. 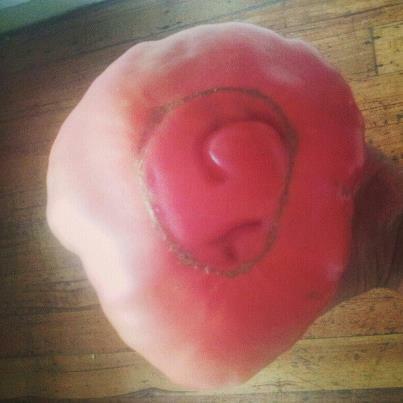 This single beef steak tomato weighed in at a whopping 792 grams! It was way bigger than my hand!